Matt Byrne Media will present the SA Premiere of the phenomenal Queen and Ben Elton musical We Will Rock You at the Arts Theatre from July 5 to 14 and Elizabeth’s Shedley Theatre from July 19-28. We Will Rock You (WWRY) is a rock musical based on the songs of British rock band Queen with a book by Ben Elton. The musical tells the story of a group of Bohemians who struggle to restore the free exchange of thought, fashion, and live music in a distant future where everyone dresses, thinks and acts the same. Musical instruments and composers are forbidden, and rock music has been lost. “The show has been one of the greatest musical hits on the West End, Broadway and in the Eastern States,” Byrne said. “But it has never made it to Adelaide – until now! Queen has an incredible following in SA and Ben Elton’s comedy has always been popular through The Young Ones and Blackadder. “The combination gives us one of the world’s most enjoyable rock musicals, it’s funny, it’s fabulous, it’s rebellious, it’s futuristic, it’s rock and roll! Byrne is thrilled with the cast and production team. “The leading roles of Galileo and Scaramouche will be played by two outstanding young SA talents in Iman Saleh and Danielle Greaves,” he said. “Then we have April Stuart as Killer Queen and James McCluskey-Garcia as her Khashoggi, who rule Iplanet in the year 2300. Byrne will direct and design Saturday Night Fever with musical direction by Kim Clark and choreography by Sarah Williams. 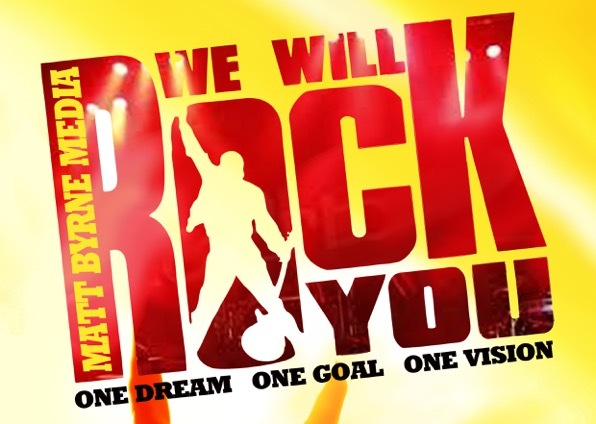 We Will Rock will play the Arts Theatre from July 5 to 7 and 10 to 14 at 8 p.m., & July 7 and 14 at 2 p.m., and Elizabeth’s Shedley Theatre from July 19-21 and 26 to 28 at 8 p.m. & July 21 & 28 at 2 p.m. The $30 Cheap Nights will be Tuesday, July 10 at the Arts, and Thursday, July 19 at the Shedley. 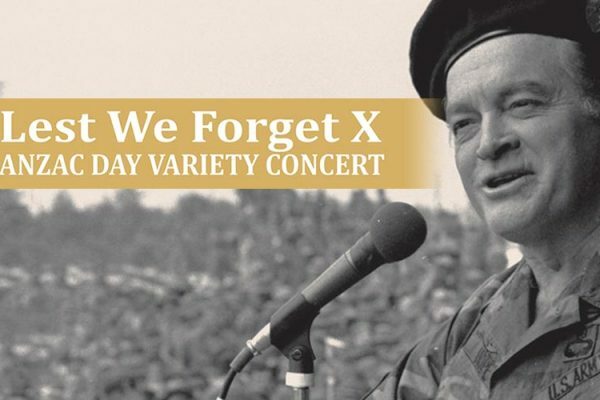 Matt Byrne Media will celebrate a decade of Anzac Day Variety Concerts when it presents Lest We Forget X at Elizabeth’s Shedley Theatre on April 25 at 2pm. Fringe hit Hott Property returns! 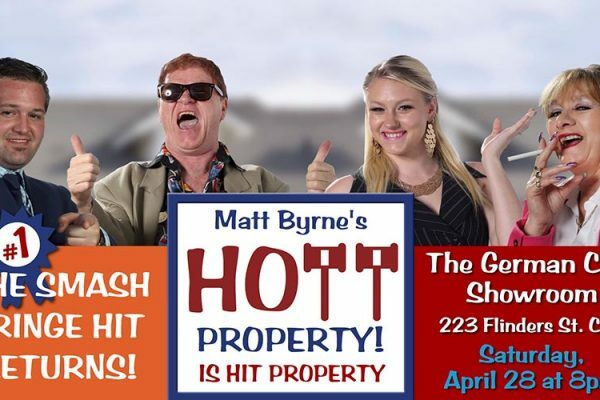 Matt Byrne’s Fringe hit show Hott Property will be back for one night only at the GC at the German Club on Saturday, April 28 at 8pm.